Mrs Jade Verbeek, lecturer and PhD student in the Department of Marketing Management, was the worthy student recipient of the 2018 Stephan and Pierre Viljoen Award to the value of R50 000. The Stephan and Pierre Viljoen Award has four categories, one for PhD students and three for staff members of the Department of Marketing Management and the Division of Communication Management. Only one nominee across all four categories is afforded the opportunity to receive the award. 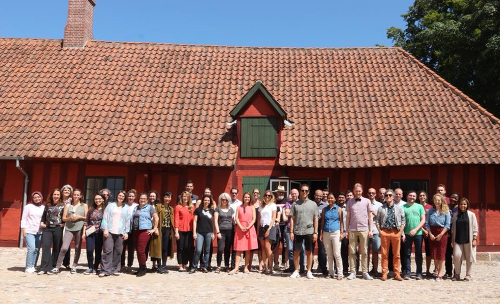 Mrs Verbeek used the funding to attend the high-level scholarly 2018 Consumer Culture Theory Conference in Odense, Denmark, which included a six-day PhD seminar. Mrs Verbeek reported that the PhD seminar was intellectually exhilarating, as insightful and interactive discussions were had around classical authors in consumer culture theory, such as Claude Levi-Straus, Michel Foucault, Friedrich Nietzsche, and Jean Baudrillard, and their influence on consumption and marketing as we know it today. Top scholars in the field, such as Prof Craig Thompson, Prof Eric Arnould and Prof Soren Askegaard led these interactive sessions daily. 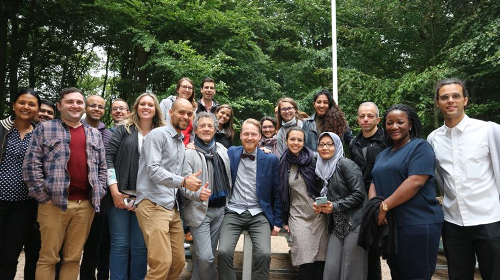 Particularly valuable was the opportunity that all PhD students received to have one-on-one meetings with these top scholars, in order to get input into their specific research interests and focus areas. “The experience gained through this award has been invaluable and I am very thankful to Mr Viljoen for this opportunity,” said Mrs Verbeek. A highlight for Mrs Verbeek was the networking sessions over dinner, which allowed participants the opportunity to reflect on the day and share experiences from to diverse backgrounds. Mrs Verbeek emphasised that this opportunity has allowed her to learn about consumption immeasurably, but also to bring back some very valuable input for her own PhD studies. In addition, she has established valuable connections with a few scholars from around the world.